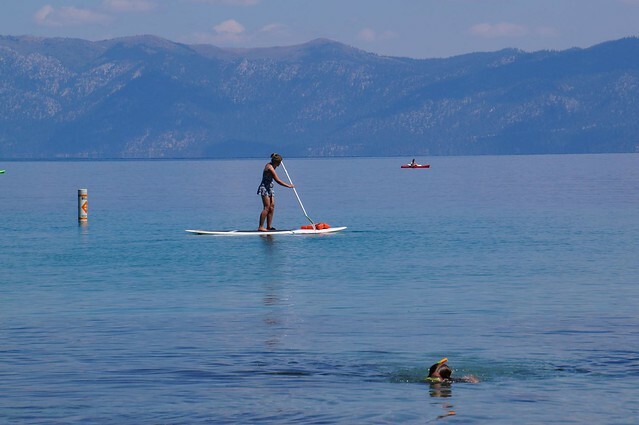 I had heard of Lake Tahoe as a winter sports destination, but when a friend of mine suggested it as an idea for some summer r & r with some watersports thrown in, I was a little surprised. Home to the 1960 winter olympics, it is well-known as a mecca for skiers and snow boarders, but I was rather sceptical about the idea of spending some relaxation time on the beach of a lake. However, I have always secretly fancied giving stand up paddle boarding a go, so decided to head over and try it out for myself. The lake itself is huge. At it's widest point it measures 19km and it is 35km long and it is one of the highest large lakes in the USA. Located at an elevation of 1,897 m, it enjoys a pleasant climate, with sunny days, but not as hot as other inland Californian destinations. The Lake itself forms the border between California and Nevada and is easily aceesible from Yosemite and San Francisco. There are plenty of accommodation options, from cheerful motels to the more upmarket resorts. 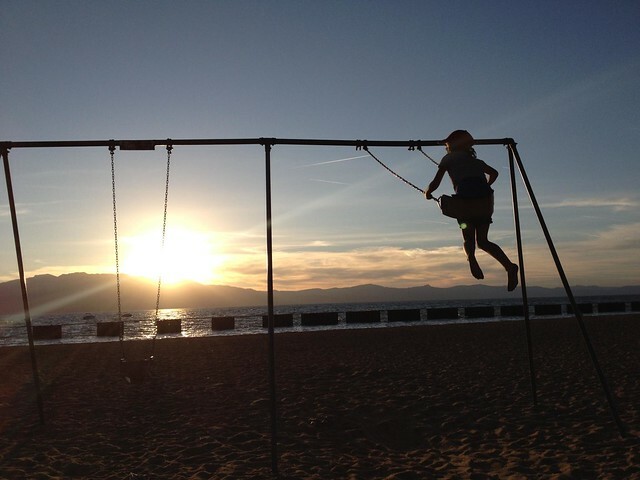 One of the things that surprised me so much about Lake Tahoe was the number of beaches. With crystal clear waters and a mountainous bnackdrop, they are a beautiful place to lie back and relax. 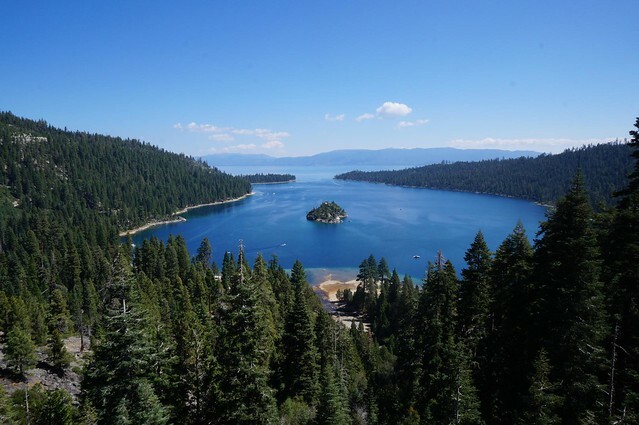 Emerald Bay is one of the more famous ones, but there are plenty to choose from. Each of the main beaches has a carpark with basic toilets and many have a concession renting out paddle boards, kayaks and life jackets. With no tides, the lake is a perfect place for all of the family to have a go at the watersports on offer. And the water is not as cold as you would expect either. For those who prefer to take it easy, there is, of course, the option to stay dry and just while away the days sun bathing and reading.